A political party representing dissident republicans is taking legal action against Facebook. Saoradh claims the social media giant removed pages from its platform. The group, which the police say is closely aligned to the group referred to as the New IRA, has accused Facebook of political discrimination. Facebook says it cannot comment "as this is a legal matter" but confirmed it had received a letter of complaint from lawyers acting for the party. Saoradh also claims the security service MI5 and the PSNI have exerted pressure on the company to remove the pages. Founded in 2016, Saoradh is chaired by Brian Kenna. Saoradh, which means liberation in Irish, has the support of prisoners from the dissident group referred to as the New IRA in Maghaberry and Portlaoise prisons. Several high-profile dissidents, including Colin Duffy and Nuala Perry, have also been linked to the party. According to its constitution, Saoradh's objective is to "effect an end to Britain's illegal occupation of the six counties" and establish a 32-county Irish Socialist Republic. The party has been highly critical of Sinn Féin in the past, with its chairman describing members as "false prophets who have been defeated and consumed by the very system they claim to oppose". A Belfast-based law firm is seeking a court order bid to force the company to re-instate a number of pages. It says Facebook has removed Saoradh's main party page, as well as others operated by branches in Belfast, Dublin, Newry and Derry over the past six months. A letter to the company claims the decision to remove the pages was taken "due to our client's particular political view". The letter states this is a breach of the right to the freedom of expression as set out in Article 10 of the European Convention on Human Rights. "Facebook has now taken to remove what they deem to be unacceptable political messages, that sets a very, very dangerous precedent and it's an attack, a deliberate attack, on the freedom of expression," said solicitor Darragh Mackin. "Therefore our clients have no alternative but to seek injunctive relief to compel Facebook to uphold what is a very, very basic principle, the right to a political opinion and the right to expression." The solicitor said his clients believed the police and MI5 put pressure on Facebook to remove the pages because the party represented the views of dissident republicans. "Our clients have grave concerns that there are third parties at play," Mr Mackin added. "Given the fact that the police and security service are known to monitor and intercept communications, I think it's implausible to believe other than the security service would have made representations to Facebook because no reasonable excuse has been given as to why our client's page has been taken down." Far right group Britain First is engaged in similar legal action against the company. 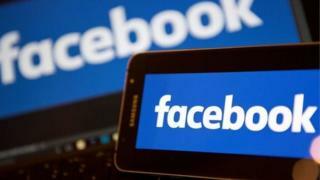 It has also accused Facebook of "political discrimination" and is is seeking a similar court order to compel the company to reinstate its party page and those of its leaders, Paul Golding and Jayda Fransen. Last March, Facebook said the content of the pages repeatedly broke its community standards and "repeatedly posted content designed to incite animosity and hatred against minority groups".